This spacious brick 4215 sq. ft. home is situated perfectly on a well landscaped two acre homesite overlooking Battery Creek. The property offers a southern exposure with expansive views and spectacular sunsets. 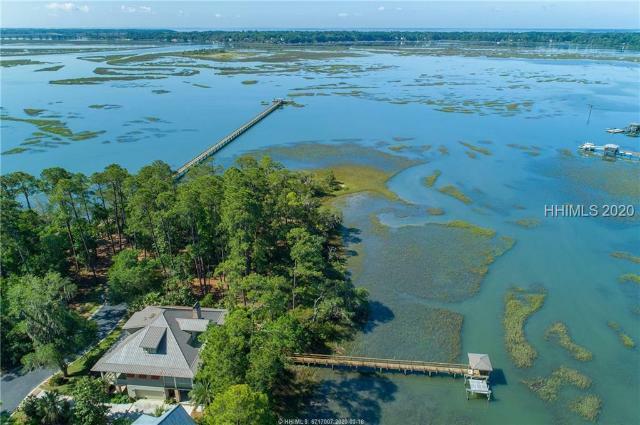 The neighborhood, Hundred Pines, is centrally located just minutes from downtown Beaufort, the Spanish Moss Bike/ Running Trail, the hospital and all that Beaufort has to offer. Five bedrooms, four fireplaces, a remodeled kitchen that opens onto the large shaded patio and a self-cleaning, heated, saline pool with a spa make this livable and relaxing home all the more enjoyable.